ES160 TV Adapter Kit - Oasis Scientific Inc.
Output: Analog Video. Connected to standard RCA analog input of any TV set. Wireless Link: 4 Channels. Compatible with all Firefly wireless products. Supply Voltage: 110V-240V, 50/60 Hz. 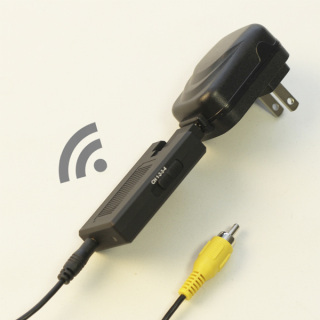 ﻿TV Adapter Kit Includes:﻿ AC Outlet Adapter, TV Output Cable, and Wireless Receiver.